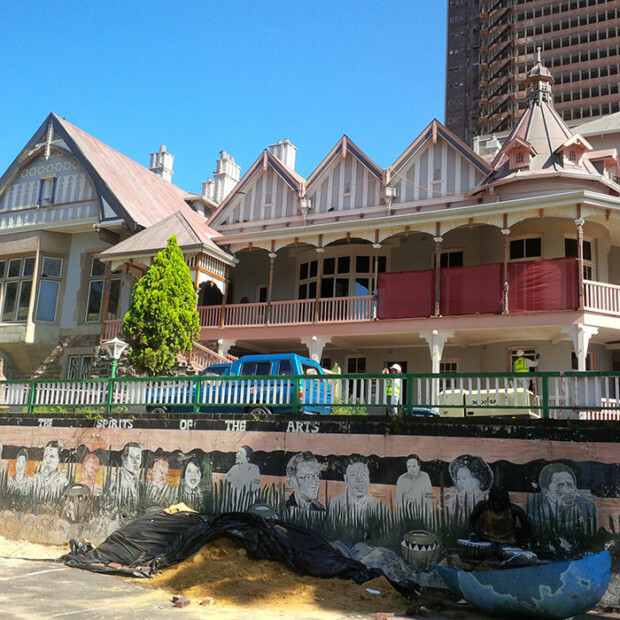 Creative centres: A peek at the 6 new cultural hubs of South Africa ? Looking for space to create or ignite inspiration? A few cultural centres have recently sprung up around South Africa, such as a pan-African literature hub and a space for product designers. Not withstanding conversations around gentrification (think Maboneng and Woodstock) and inclusivity, these spaces form part of the complexities of urban “renewal” while aiming to engage the creative community and the economy through business. From a revamped 121-year old reading nook to an innovative space for designers that is on the verge of opening, check out these six centres that add to the healthy network of cultural spaces that already exist in South Africa such as August House in Doornfontein, Eyethu Lifestyle Centre in Soweto, the Woodstock Exchange in Cape Town and the Station Drive Precinct in Durban. 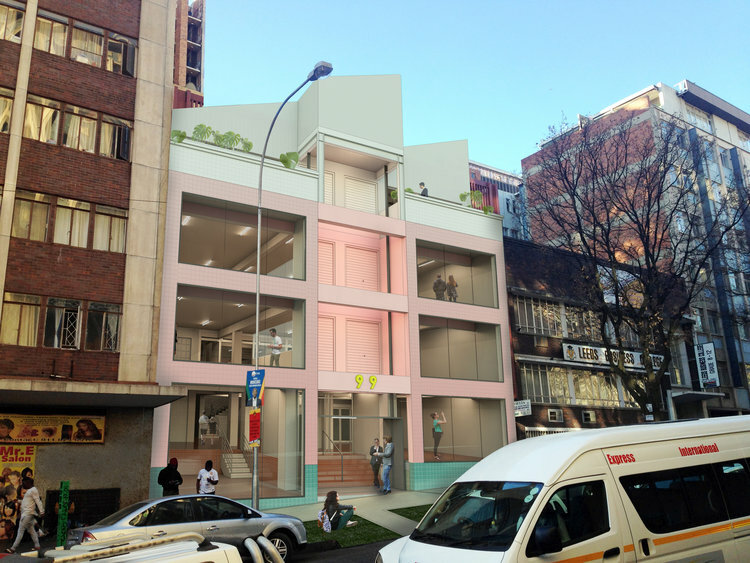 Architecture and urban design company Local Studio is in the process of putting the finishing touches to a building in the heart of Braamfontein. Opening at the end of September, 99 Juta – spearheaded by product design studio Dokter and Misses – is a three-storey building that aims to provide fellow product designers workshop and showroom spaces. Close to the Kalashnikov Gallery and Neighbourhoods Market, this 1930s-built structure is getting a facelift that includes a pink-cladded goods hoist, a restaurant, bar, rooftop and four showrooms to display the work of local designers. See more. A brand new partnership between the Market Theatre Foundation, Sticky Situations and The Colored Cube has seen the revamp and relaunch of the 121-year-old Windybrow Art Centre that was once a theatre in Hillbrow, Johannesburg. The transformation recently saw the creation of a reading hub that holds over 2000 Pan-African book titles, a series of arts, cultural and heritage activations through participatory management and neighbourhood engagement methodologies. The centre opened this past July, on Nelson Mandela Day, and plans to facilitate dialogue and creative exchange by hosting residencies and art-related events focusing on dance, visual arts, poetry, literature and theatre in the African diaspora. See more. The Silo District is an extension of the V&A Waterfront and Cape Town’s newest luxury precinct earmarked to be the “epicentre of contemporary art and design in Africa”. There’s the grand Silo Hotel, the much awaited Zeitz MOCAA opening in September and a mix of old silos that have been transformed into office, retail and residential spaces. 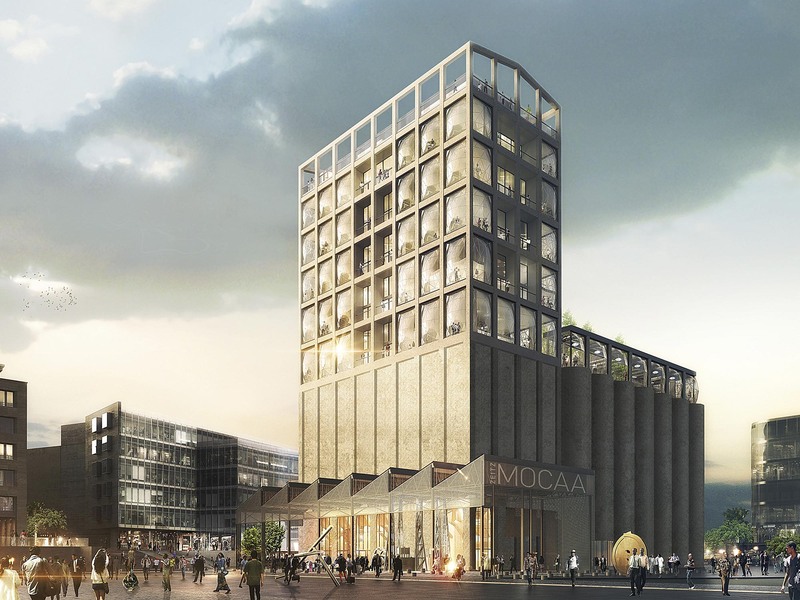 “With Zeitz MOCAA at its core, we wanted the Silo District’s retail offering to reflect the creativity, design, art and culture embodied by the museum. Today’s opening is a small teaser focused on our retailers, and a preview of what to expect from our Grand Opening in September, when Zeitz MOCAA opens to the public and final few retailers open,” says David Green, CEO of the V&A Waterfront. Read up on the district’s history. Adding to the vibrant arts hub in Newtown is The Market Square serving as the new home of the Market Theatre Foundation and a campus for students at the Market Theatre Laboratory and Market Photo Workshop. Designed by award-winning firm KMH Architecture and Design, it has a theatre, library, auditorium, rehearsal room, boardroom and dance studios. Its recent completion demonstrated the Market Theatre Foundation’s ongoing tradition of cultivating the arts in South Africa. On Wednesdays, they present 90-minute tours of the precinct giving the public a glimpse into the theatre’s rich four-decade history as well as insights into current cultural activites. More info. Eloff Street is no longer just the most expensive property to buy when playing Monopoly; it’s also home to Joziburg Lane, situated in the south-central part of downtown Johannesburg at the corner of Wemmer Jubilee Street. Here, an art deco building has been transformed into a yellow-and-turquoise loft-style apartment block, and the alley way that runs alongside it is lined with bespoke traders, eateries and galleries. 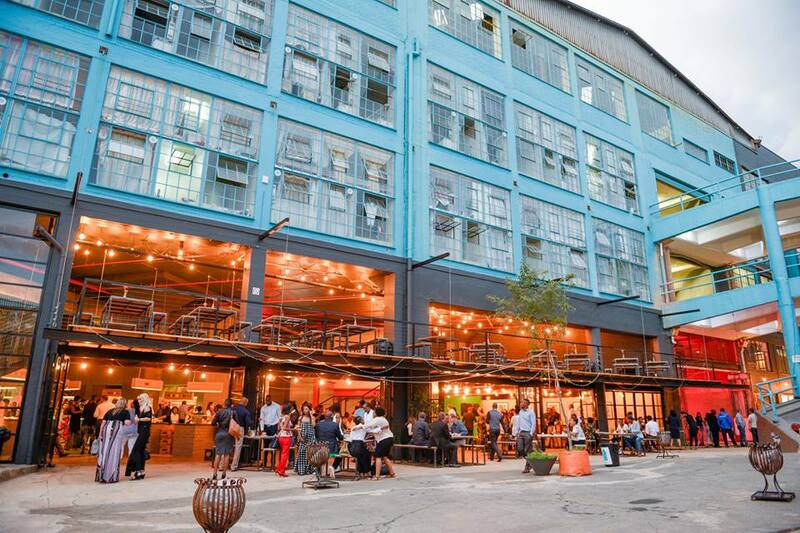 You’ll also find the bustling Joziburg Foodhall filled with stalls, a deli and tasting bar, and the massive Joziburg Events Hall that accommodates up to 1500. See more. 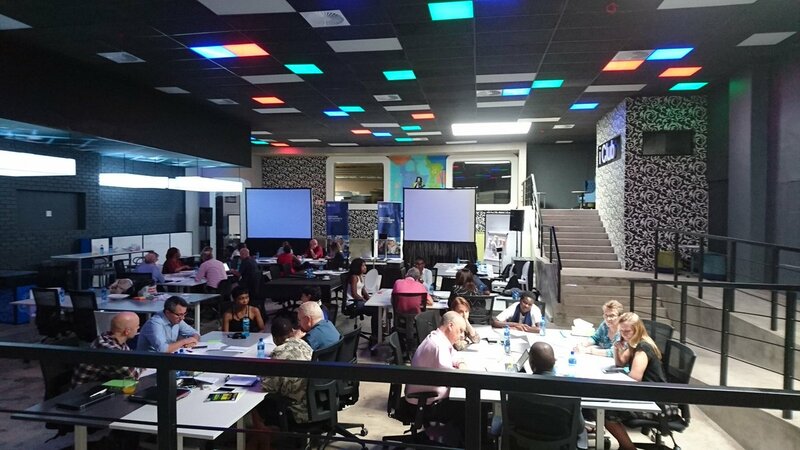 Meaning “new beginnings” in seTswana, the ever-expanding Tshimologong Precinct, which opened last year, is nicknamed “The Digital Technology Innovation Zone” and occupies a row of five buildings in Juta Street, Braamfontein Joburg. The space provides a stimulating environment for individuals involved in digital technology innovation and entrepreneurship. According to director of the University of the Witwatersrand’s Joburg Centre for Software Engineering (JCSE), professor Barry Dwolatzky, the “mission and vision is that by the end of this year, the Tshimologong Precinct will be the top digital innovation hub in South Africa and among the best in Africa.” In September, the precinct will host Fak’ugesi, the African Digital Innovation Festival. Find out more.